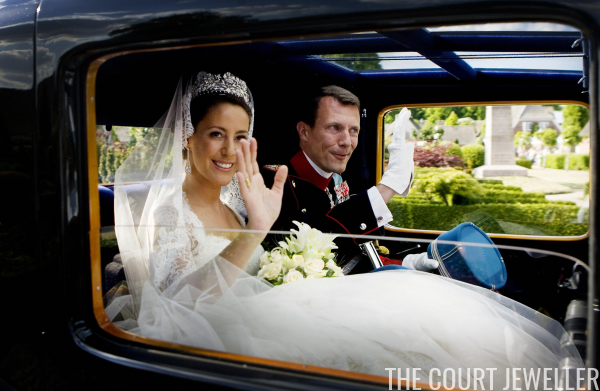 Today marks the tenth wedding anniversary of Prince Joachim and Princess Marie of Denmark. They probably won't be doing a lot of milestone celebrating today -- Danes put more emphasis on the 12.5 anniversary (halfway to 25 years) than the tenth -- but we're marking the anniversary today with a roundup of our posts on the jewels of their royal wedding. Enjoy!